A business owner asked three website development companies to submit a proposal to design her company website. She supplied the developers with the same “requirements document” that listed the website’s goals and functions. A week later each of the three web developers came back to the client with their estimates. The first one had priced the project at $3, 000, the second had priced it at $12, 000 and the final web developer estimated the project at $32, 000. Please note: When we say “small business website” we are talking about an informational website consisting of approximately 10 to 20 pages with some basic content management and social media widgets. Do you need multimedia elements (Flash, video, etc.) on the site? Do you need other special features such as social media channels, SEO (search engine optimization) or ecommerce? Below we go into these items in greater detail and provide an estimate of how much you should budget for each. The prices listed are estimates based on our 16 years of experience designing and building business websites. Prices will vary depending on your specific requirements. Be sure to contact us for an estimate. Remember, when you’re starting a new website from scratch, so is the web designer. With no existing elements to work from, the designer can’t look at an existing site and study your current online brand nor can the design team examine the features and functionality that will be carried over to the new website and improved upon. We think this process is critical because it helps set expectations on all sides and reduces potential frustrations. Simple business websites — those in which the client has a solid idea of what he or she wants — can get by on a minimal amount of discovery and documentation, amounting to perhaps one day’s worth of effort. BUT… more complex websites may require weeks of meetings plus the creation of many detailed documents to fully define the project. Interface design — also referred to as visual design or the site’s “look-and-feel” — incorporates your branding, all your photos and images, even your page layouts. Don’t assume that if you already have a pre-made template you won’t need images or layouts re-done. Interface design is usually an iterative process, meaning that the designer will show you several options and then modify them based on your feedback to arrive at an approved design. 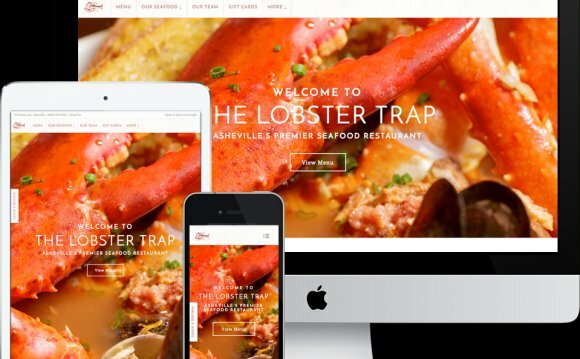 For a small business website, budget $1, 200 to $3, 500 to get you from concept through to the final design that will be handed off to the developers for programming. Don’t skimp on the interface design; if you do, today’s sophisticated visitors won’t give your website a second glance. Budgeting website graphics is tricky because images can range from $10 each for cheap stock images to hundreds of dollars each for custom or high-end stock images. Incorporating compelling and appropriate graphics can make a huge difference in the effectiveness of your website. On the low-end, budget at least $100 for stock images. Remember that a good designer can make a cheap image look like a custom one. But that’s not all. You will also need stock icons and buttons to compliment your design. Add $50 to the budget for these graphic elements. V4 Technical has been providing web site development services to small to medium size businesses since 2004. Based in Suffolk, V4 Technical Ltd supply web based software throughout the UK. Telaxus LLC is a small software development and consulting company. It specializes in business process automation for small businesses and it's main product is EpesiBIM - open source CRM web application based on epesi framework.